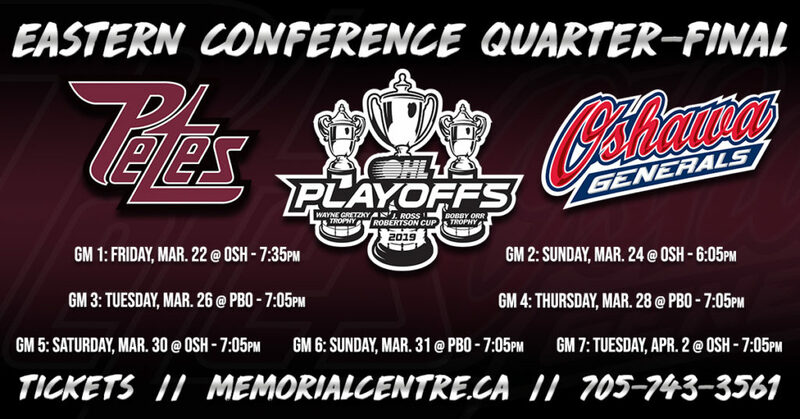 Following the conclusion of the regular season on Sunday evening, the Petes’ first round opponent and schedule for the 2019 OHL Playoffs have been confirmed. Peterborough had a 2-5-1-0 record against Oshawa during the 2018-19 regular season. 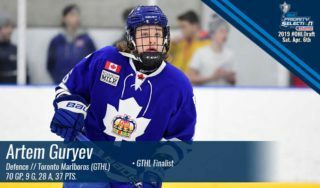 The division rivals last met in the first round four years ago, with the Generals taking the series 4-1 on route to winning the 2015 MasterCard Memorial Cup. 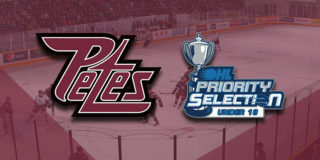 The Petes and Generals have met in the post-season 14 times dating back to 1973. Playoff tickets are on sale now and are available through the Baker Tilly Box Office in person, over the phone at (705) 743-3561, and online. 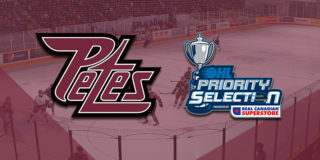 Petes Season Ticket Members are reminded that tickets for home games 1 and 2 are included in their season ticket package. They are encouraged to pre-authorize payment for subsequent games and rounds through the playoff pre-authorization process. Season ticket members should contact Mike Kosciesza at (705) 743-3681 ext. 263 or by email with any questions regarding pre-authorization. 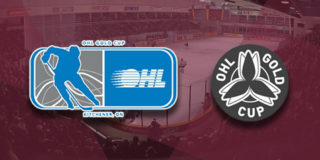 Cheer on the maroon and white on the road in the first round of OHL Playoffs on the Petes Fan Bus! For just $50 you’ll receive transportation to and from a game, a ticket, snacks, merchandise, and more! 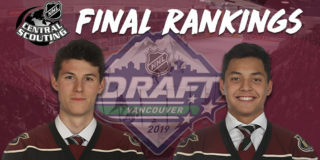 To reserve your spot on the Petes fan bus, contact Julia Tanner, while supplies last, at (705) 977-0127, or click here to send her an email.